SCVHistory.com LW2873 | Film-Arts | Frank Sinatra in 'Suddenly' (1954): Mexican Lobby Card. 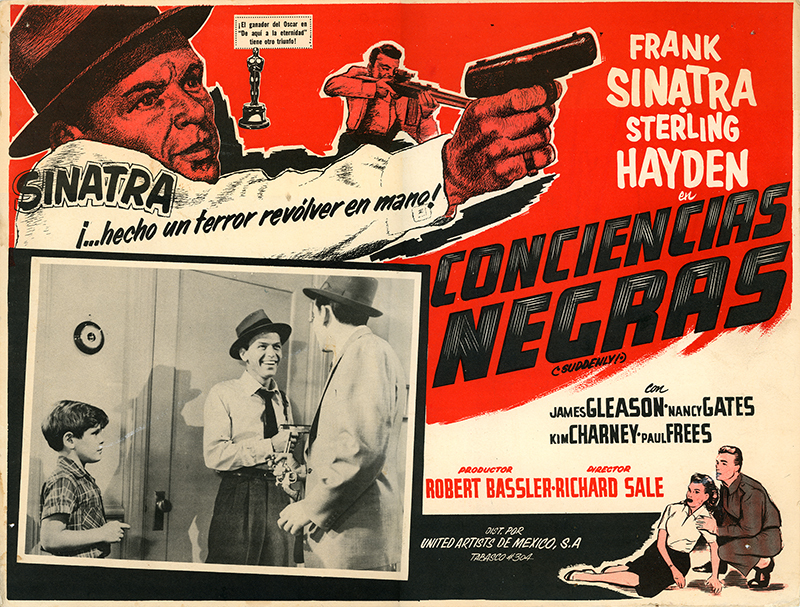 "Suddenly," aka "Conciencias Negras" (literally, Black Consciences), Mexican Lobby Card apparently made in Tabasco, Mexico, 1954. For use in theaters in Mexico to promote the movie. 12.5x16.5 inches (standard Mexican lobby card size). LW2873: 9600 dpi jpeg from original lobby card purchased 2017 by Leon Worden.